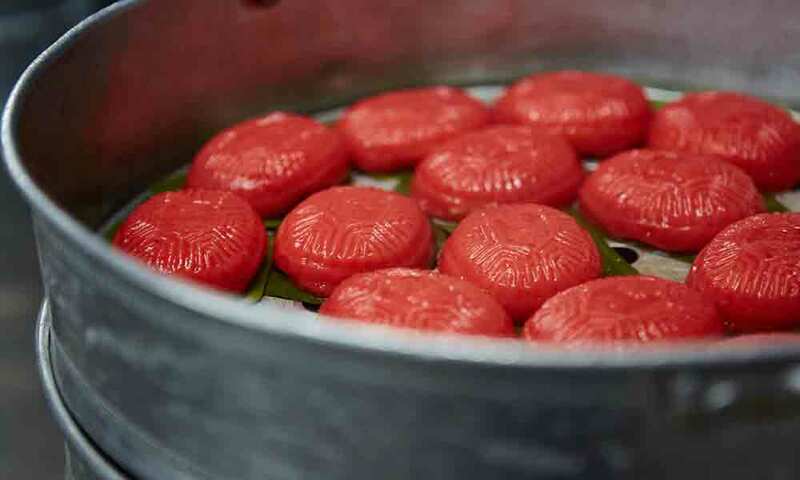 ‘Ang ku kueh’, also known as red tortoise cake, originated from southern Fujian. Ang ku kueh can be found in the Minnan region – namely Xiamen, Zhangzhou and Quanzhou in China – as well as in Taiwan. Nestled among the row of shops on the ground floor of Block 1, in the serene neighbourhood of Everton Park, lies Ji Xiang Confectionery. This old-school confectionery shop, which specialises in ang ku kueh, has endured the test of time since it began operations in 1988. The Epoch Times was given a special treat of lovingly handmade ang ku kueh, while learning the stories and traditions behind this sweet pastry from manager Mr Kelvin Toh. Kelvin is the youngest son of the founders of Ji Xiang Confectionery. “Many people have the perception that ang ku kueh is a Peranakan snack,” says Kelvin. But no, ang ku kueh actually has its roots in China, he stresses. 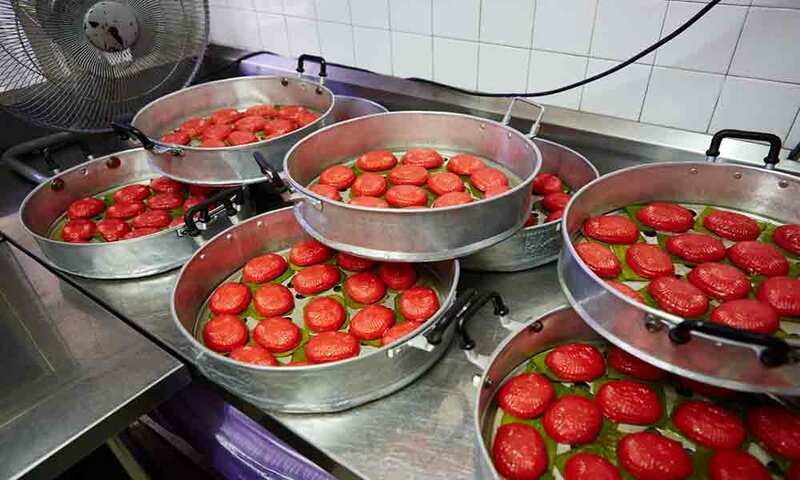 Ang ku kueh, also known as red tortoise cake, originated from southern Fujian. Dyed in red and moulded into the shape of a tortoise, ang ku kueh can be found in the Minnan region – namely Xiamen, Zhangzhou and Quanzhou in China – as well as directly across in Taiwan, which shares similar cultures and dialect. 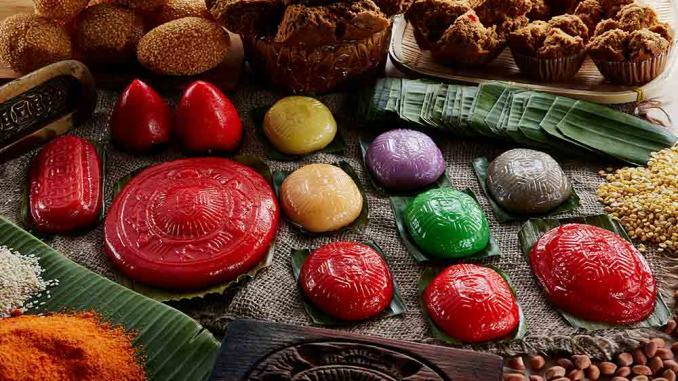 Ang ku kueh, also known as red tortoise cake, originated from southern Fujian. 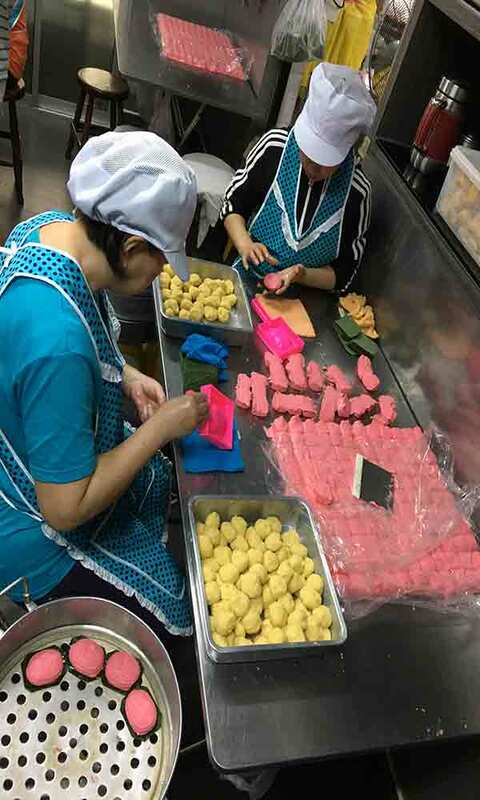 (Courtesy of Ji Xiang Confectionery)Gradually, the making of ang ku kueh was passed down to the Southeast Asian region, such as Malaysia, Singapore and Indonesia. “The China version of ang ku kueh is very dry. It is made with less oil,” he points out. The Southeast Asian version of ang ku kueh was actually influenced by the Straits Chinese. 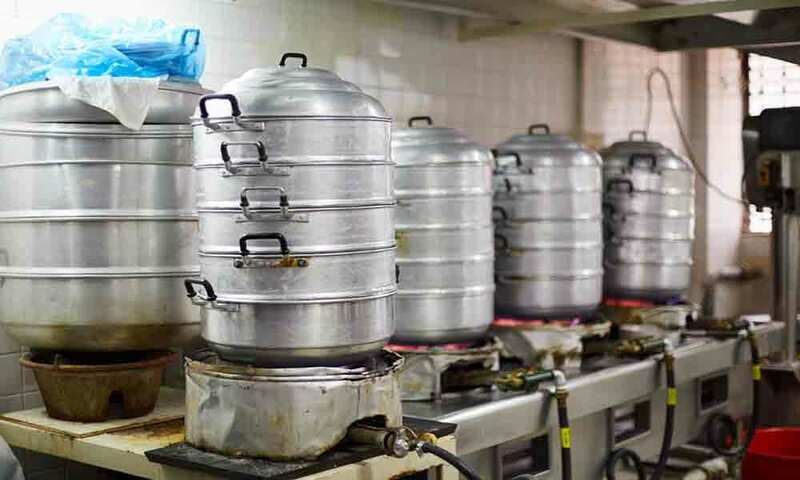 “When the babas and nyonyas started making ang ku kueh, they infused Peranakan-influenced ingredients, such as coconut milk and oil, to make it chewier and softer,” explains Kelvin, whose mother is Hokkien while his father is of Foochow descent. “Many traditions are linked with food, and Chinese always offer food to the deities during prayers,” says Kelvin. 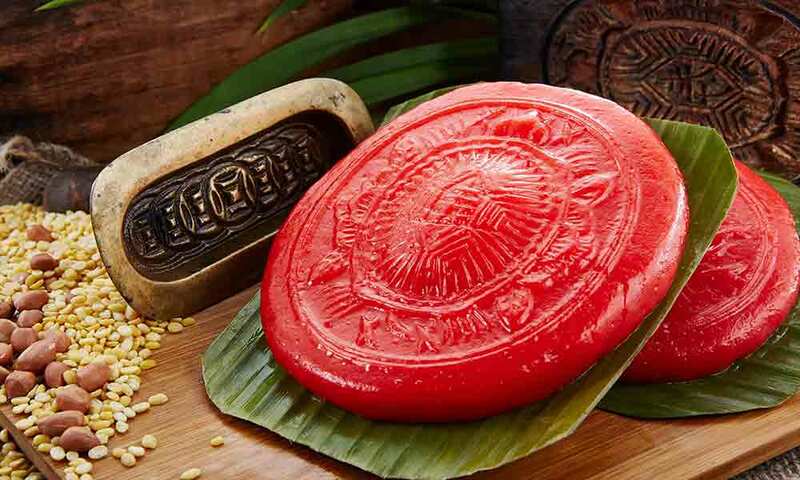 We delved into the history of the red tortoise cake and found that ang ku kueh is moulded to resemble a tortoise’s shell, as the Chinese believe that the shell of the tortoise contains the secrets of heaven and earth. During China’s Shang dynasty (1766 – 1122 BC), the shells of this sacred animal were used in ceremonies to predict the future. According to Chinese mythology, the phoenix, qilin (unicorn), dragon and tortoise are the most auspicious animals. Incidentally, the tortoise is one of the longest surviving animals on earth, and it is regarded as a symbol of longevity, prosperity and wealth. As such, red tortoise cake (or ang ku kueh) is usually prepared for birthdays, such as a baby’s full month and one-year-old birthdays, as well as an elder’s birthday. Also, in ancient China, it was once a custom for devotees to return the blessings of the deities by returning “tortoises” to the temples. 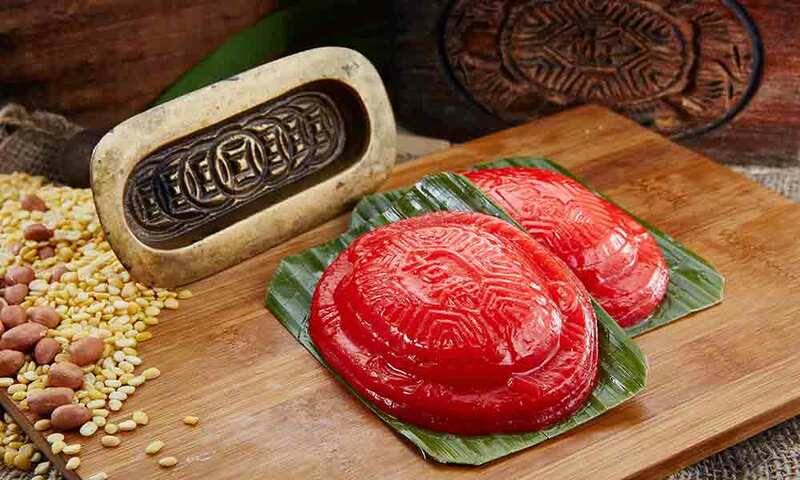 Hence, it is no surprise that red tortoise cake is an important delicacy for religious festivals like the Chinese New Year festival, Jade Emperor’s Birthday and many other Chinese deities’ birthdays. For example, ang ku kueh is offered to the deities during Chinese New Year, with hope that the sweetness from the kueh will leave such a sweet taste in the deities’ mouths that they will in turn speak well of them in front of the Jade Emperor. Besides offering red tortoise cake to the deities, the popular kueh are also prepared during Qing Ming Festival and Hungry Ghost Festival. The Chinese honour their ancestors with food items, such as ang ku kueh, on these occasions. 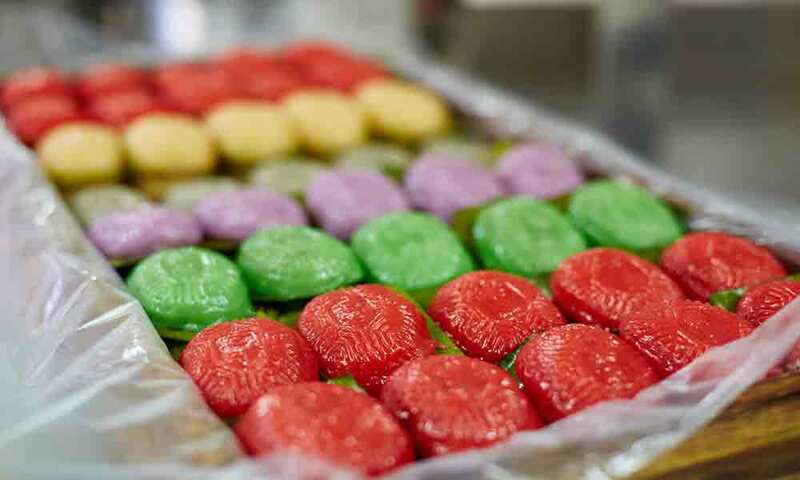 Other than dyeing the tortoise cakes red on Qing Ming, the kueh are also coated in green or white colours to express the descendants’ grief and their well wishes for their ancestors’ afterlife. Notably, “stepping on ang ku kueh” is a Chinese tradition seen in a one-year-old’s birthday celebration, which is gradually disappearing. It is believed that when a one-year-old child steps on a gigantic pair of ang ku kueh, followed by stepping into a pair of new shoes, the child will be ensured a smooth journey in life. “Stepping on ang ku kueh” also signifies the parents’ hope that the child will be “down-to-earth腳踏實地” in his future undertakings. In modern days, ang ku kueh has become “more like a snack (which) we can buy every day”, says Kelvin. “We feel very proud of what we are doing. We think it is necessary to keep the tradition of ang ku kueh alive. We have the responsibility,” he enthuses. Ji Xiang’s ang ku kueh recipe was handcrafted by Kelvin’s mother, Bong Yeo, who loves cooking. The history of Ji Xiang dates back to 1988, when Mrs Toh ceased her home-based ang ku kueh factory. She had started operating in 1986, but closed her home factory after NEA’s crackdown on home-based food businesses. 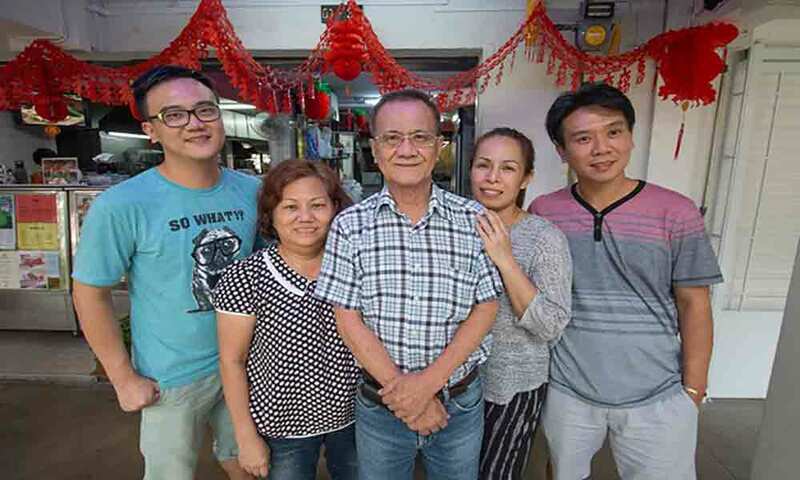 Kelvin’s father, Mr Toh Poh Seek, had no choice but to take up a loan to rent a shop to continue his wife’s business, even though she was reluctant initially. Over the years, word of Ji Xiang’s mouth-watering ang ku kueh began spreading across Singapore. 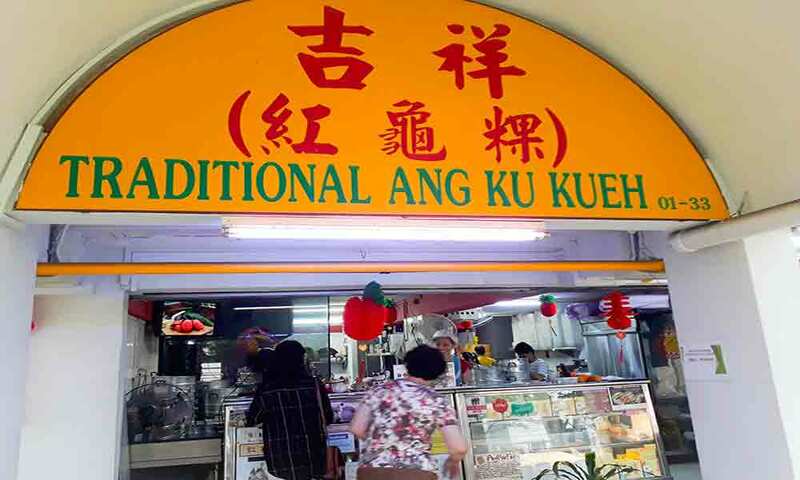 But how is a tiny shop able to make a name of its own just by selling ang ku kueh for nearly three decades? “You don’t need to do many trades; you just need to specialise and be proficient in one. That’s our secret – doing one thing very well,” opines Kelvin, who is in charge of Ji Xiang’s marketing and human resource. He has been calling the shots in the company’s e-commerce and social media platforms, as well as handling media interviews. Kelvin’s sister-in-law and older brother, Jack Toh, helm the business operation. His mother still helps around the shop every day, overseeing the quality of their signature ang ku kueh. Is there a “secret recipe” behind Ji Xiang’s red tortoise cake, which lures loyal patrons all over Singapore to queue outside its shop every morning to purchase boxes of ang ku kueh? We quizzed Kelvin about the “secret ingredient” behind the kueh’s thin skin. “Basically, the ingredients are very simple. There is no secret ingredient. It’s just basically hard work,” he asserts. Ji Xiang currently hires 12 workers to grind the fillings, cut the banana leaf and mould the kueh. He adds that making thousands of ang ku kueh each day is a painstaking task and there will be much blood, sweat, and tears. 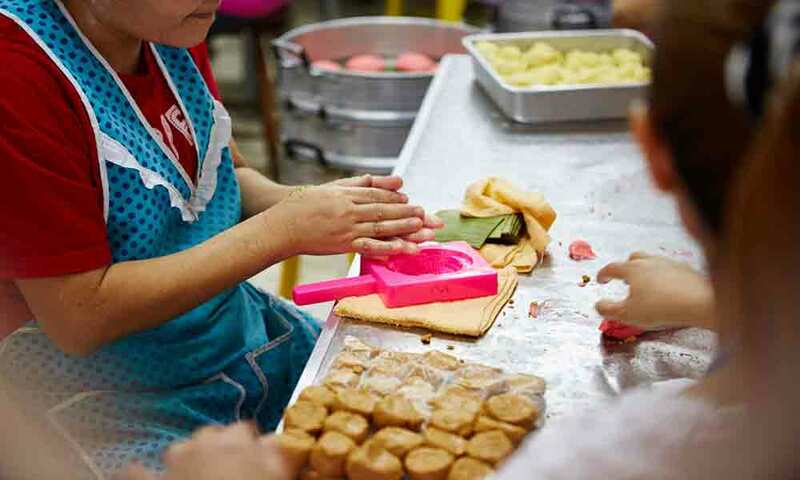 Despite that, Ji Xiang still insists in keeping to tradition when it comes to moulding the kueh, and is adamant against mechanising the moulding process, as it will affect the texture of the pastry. “We have mechanised a lot of processes, from mixing to dividing the fillings. But we don’t want to mechanise moulding. We still insist [on moulding] by hand,” he says. Moulding by hand? Perhaps that’s the secret behind the kueh’s delicate and pleasantly chewy skin? “Why is our skin so good? It is because we keep to tradition – handmade and freshly-made. It’s so simple that people think that there is a secret,” he discloses. “Our kueh are always fresh. We don’t sell overnight kueh and we produce the kueh daily. That’s our persistence through the years,” he affirms. “Our ang ku kueh are heartwarming gifts. We keep them warm by making the kueh by hand. We are selling ‘ren qing wei 人情味’ (the human touch),” ;”>he says with pride. He tells us it is crucial to keep to the tradition as loyal patrons visit Ji Xiang for the nostalgic feeling, as well as for the “Ah-Ma taste”. True enough, sometimes, the best culinary treat is that which retains tradition and simplicity at its core. For those who have tried and are familiar with ang ku kueh, peanuts and sweet beans are two typical flavours. Ji Xiang first started out with these two flavours and progressively increased to seven flavours. The additional flavours – coconut, yam, salted bean, corn and durian – offered here are rather unique. “Durian ang ku kueh is only available during the durian season,” says Kelvin. He emphasises that sweet bean is the most traditional flavour and as they added more flavours, the kueh are distinguished by their different skin colours. The salted bean kueh is distinguished by its black skin, while their corn-flavoured kueh has yellow skin. So what’s the difference between the sweet and salted bean kueh? The latter is “more savoury and has a bit of peppery taste”, explains Kelvin, who stood on the kitchen stool to cook at the tender age of four. He learned how to make his own instant noodles to feed himself and his younger sister when he was in Primary 1, as their parents were too busy at the shop. The yam flavour was included in the menu 10 years ago when he was still pursuing a Diploma in Pastry and Baking at Shatec, Kelvin says. “We have to include more flavours, or else the youngsters won’t fancy (the kueh),” he reasons. Ji Xiang has also reduced the amount of colouring and sugar to keep up with the times. “Singaporeans are getting more health-conscious. We have to keep up with the trends,” he remarks.